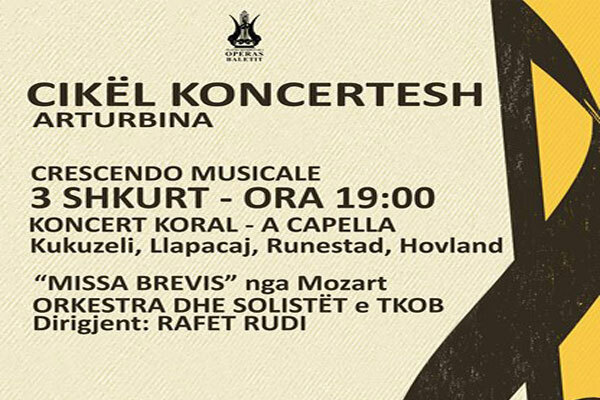 The Opera and Ballet Theater continues with the coral concert of February 3 at 19:00 in arTurbina, "Crescendo Musicale" under the direction of Maestro Rafet Rudi where will be interpreted a repertoire with works by composers Jan Kukuzeli, Gjergj Danushi, Th.L. De Victoria, Egil Hovland, Jake Runestad and W.A.Mozart. 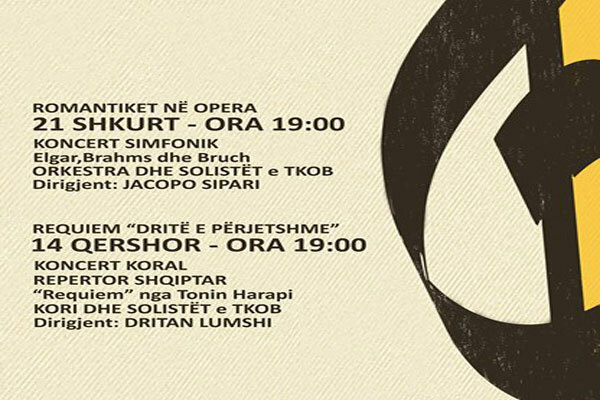 Hurry to buy your ticket at ARTURBINA, which costs only 500 ALL. The ticket is open from 10:00 to 20:00. You can also book at 067 632 7313!